I did some research and found the details behind the famous photo. 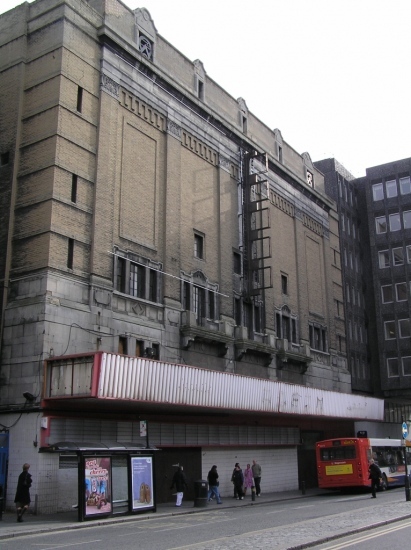 The photo was taken at The Who’s November 7, 1973 concert at the Newcastle Odeon Cinema. 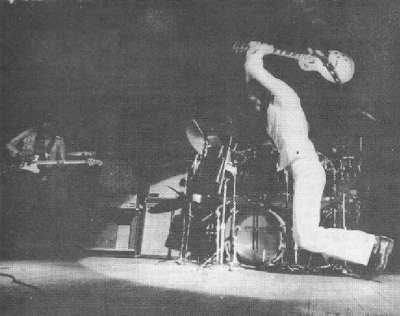 Townshend smashed the 1973 Cherry Sunburst Les Paul Custom thirty minutes into the concert after it suffered damage when he threw it into the air and failed to catch it cleanly. Here is another photo taken just before the famous ad photo. This is a photo taken right after the “Money Shot” and moments before the guitar is destroyed forever. This Gibson Les Paul was smashed in concert by Pete Townshend at the Newcastle Odeon, November 7, 1973. 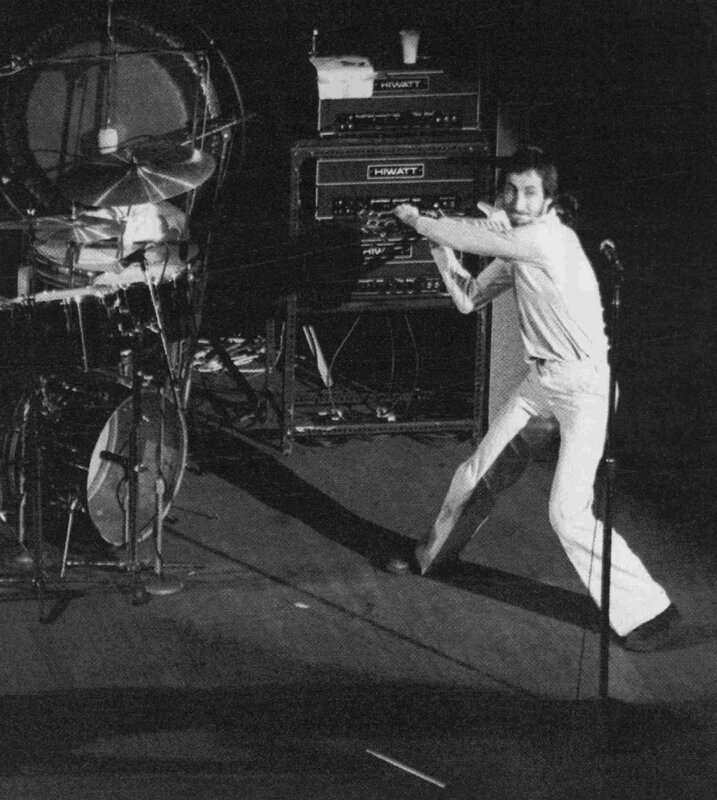 Approximately 30mins into the show, it appears that Pete threw the guitar into the air as part of the stage act, but was unable to catch it on its descent and the guitar suffered some damage. 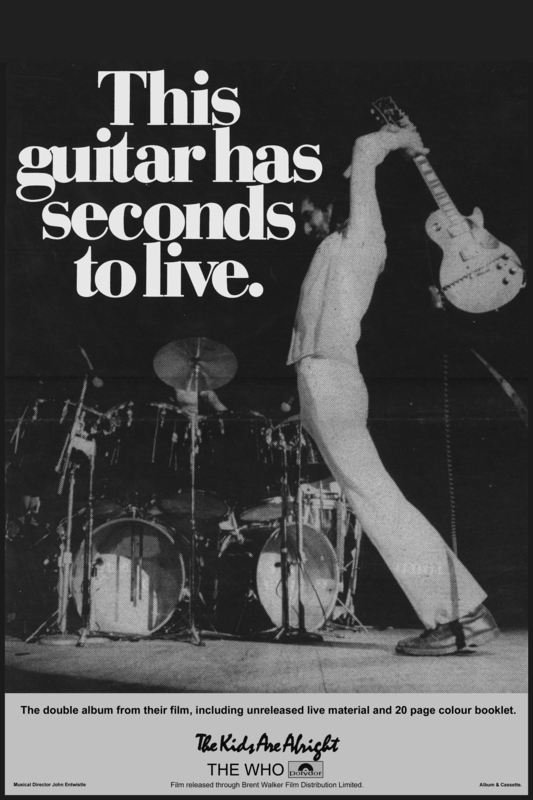 Because of this, Pete proceeded to demolish the guitar to the point that you now see. Its the New Musical Express, July 14th 1979, page 21. Its an ad mag from England. I got the entire booklet for $15 on eBay a couple years ago from a guy in England. From what I've seen, original copies are very rare. Its my favorite piece of memorabilia.